John Hartley discovered his life's passion while growing up in Piqua, Ohio. Encouraged to develop his talents in an academic environment, he moved to Fort Worth, Texas in 1982 to study art at Texas Christian University. After graduation, he began building a body of work that includes paintings, prints, and sculpture. Exhibiting throughout Texas and the United States, his work has been critically received and is included in collections across the country. 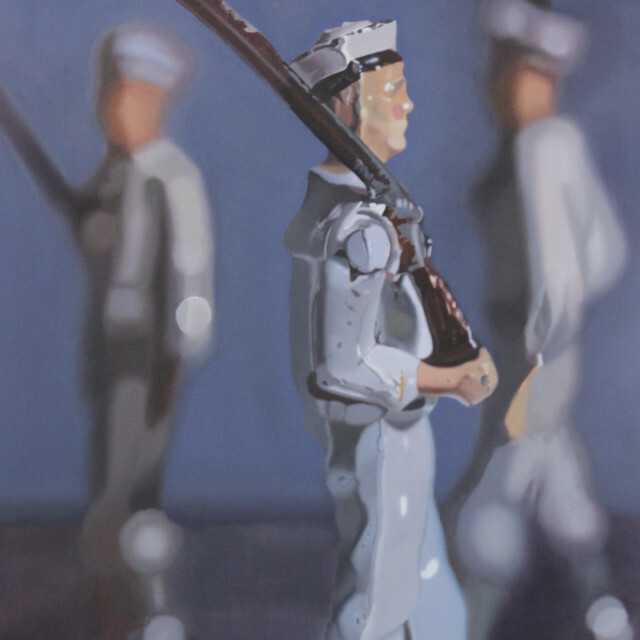 In 2013, the Modern Art Museum of Fort Worth purchased his painting, Night Duty, for their permanent collection, which also includes three of his monoprints from its 1990 exhibition, Forty Texas Printmakers. His exhibitions include shows at Kidder Smith Gallery in Boston and Martha's Vineyard, the Arlington Museum of Art, The Barth Galleries in Columbus, Ohio, and galleries in Fort Worth, Dallas and Houston, Texas. He continues to make art today and remains active in the Fort Worth art community. He opened Gallery 414 in 1995, an alternative art gallery exhibiting local and regional contemporary artists. He has also been a teacher and a professional art handler, working with museums, private collectors and blue chip artists from around the world.